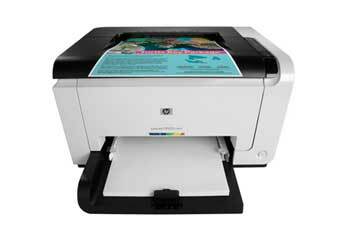 Print from anywhere in the office with wireless. Share printing resources using built-in Ethernet. 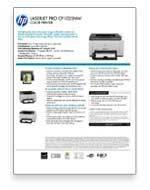 Print high-quality, affordable color while saving energy and office space with the compact HP LaserJet Pro CP1025nw color printer. 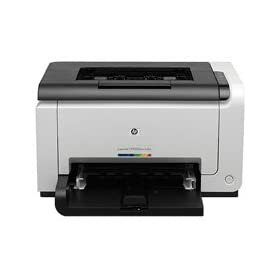 Equipped with built-in Ethernet and wireless 802.11b/g/n networking so you can share printing with your colleagues, the HP LaserJet Pro CP1025nw is the smallest color laser printer in the world and also one of the most energy efficient. 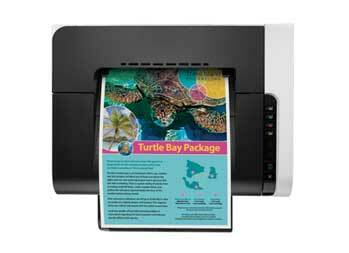 HP Auto-On/Auto-Off Technology turns your printer on when you need it and off when you don’t, while Instant-on Technology reduces energy use up to 50%. Based on personal color printers as defined by IDC and shipping as of June 2010 as measured by volume (WXDXH) using manufacturers’ specifications or as measured by operational “A4” size.